Following the investment in the Speedy Express refurbishment programme, the marketing team have been working with each depot to help provide a communications plan to support see them through the upheavel and its impact on customers. With the latest phase of 13 depots complete, our depots teams in Chelmsford, Colchester and Wandsworth have been inviting their local customers in to come and visit their new look depot. As each depot refurbishment has completed a marketing campaign has launched comprising flyers, banners and social media advertising to help to ensure customers, old and new, all know about the depot reopening and it’s brand new look. The depot teams have been delighted with the positive impact their refurbishment has had, with customers commenting daily on the improved look and feel of the depots. On the back of this, marketing recently contacted the other depot managers to find out what feedback/comments they’d received. 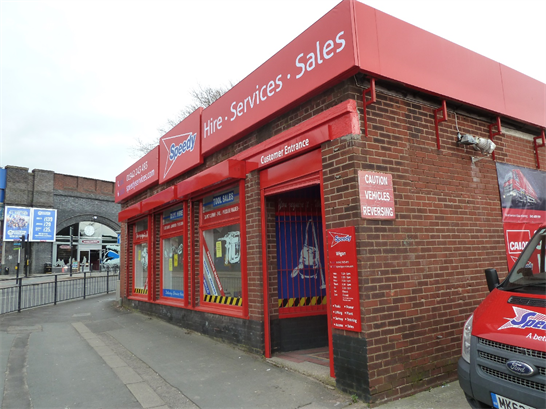 Mark Smith at our Wigan depot added “The new refurb has improved perception of Speedy and led to many positive comments from new and exisiting customers”. He even added that customers, after initially speaking to the nearby HSS, have spotted our new look and come in to see what we can offer, often leading to a contract for Speedy instead. As part of the campaigns we’ve used online advertising to help promote each refurbished depot, with paid for Facebook adverts being launched for 2 weeks at a time to reach customers and prospects around the local areas, showcase the work done at the depot and introduce the experienced team on hand to help with any queries. Overall this advertising has generated good traffic and impressions for each individual depot; some posts have even led to some interesting comments being posted on the state of happiness of some of the featured depot managers. A separate element published via our social media channels was a prize draw at each depot for customers who called to collect orders after the refurb had been completed. If you follow our Twitter, Facebook or LinkedIn accounts, you’ll see some of the lucky winners who have won a range of great prizes from Makita Drill sets to bundles of Stanley tools and Scruffs workwear! The next stage of the ‘SEP’ is due to take place shortly with the intention of starting a comms plan for the chosen depots before the work has taken place, ensuring all customers are up to date every step of the way. Keep an eye out for further updates later this year!